Lifting tripods are often referred to as shearlegs (Shear legs) and are a lightweight and cost effective, portable lifting solutions that is easily transported between jobs and very quickly set up ready to be used. 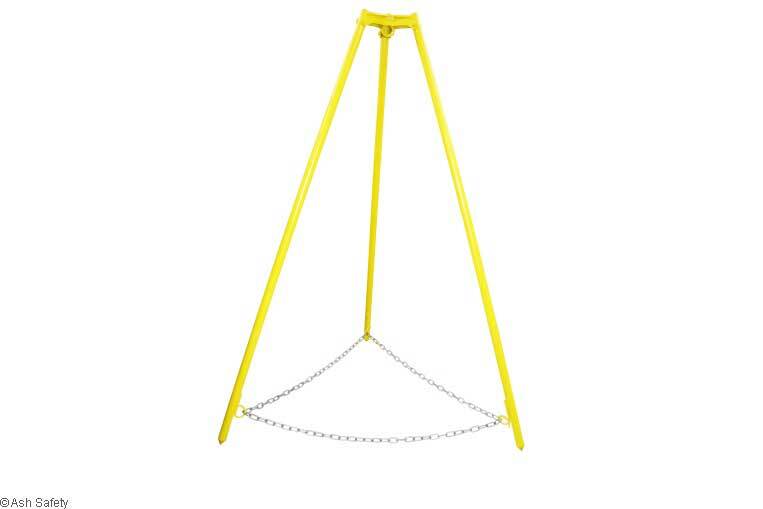 A lifting tripod can be fitted with various lifting devices, we can supply fitted with a wire rope winch / cable hoist at or supplied with a traditional hand chain hoist with height of lift to suit your requirements. Some Tripods come complete fitted safety chains. these chain prevent the legs from spreading under load though no all designed need the chains.